Preschoolers will practice letter recognition and build fine motor skills with this “cover the letters” busy bag. Fine motor alphabet activities for kids! What will your kids choose to use as they cover each letter? 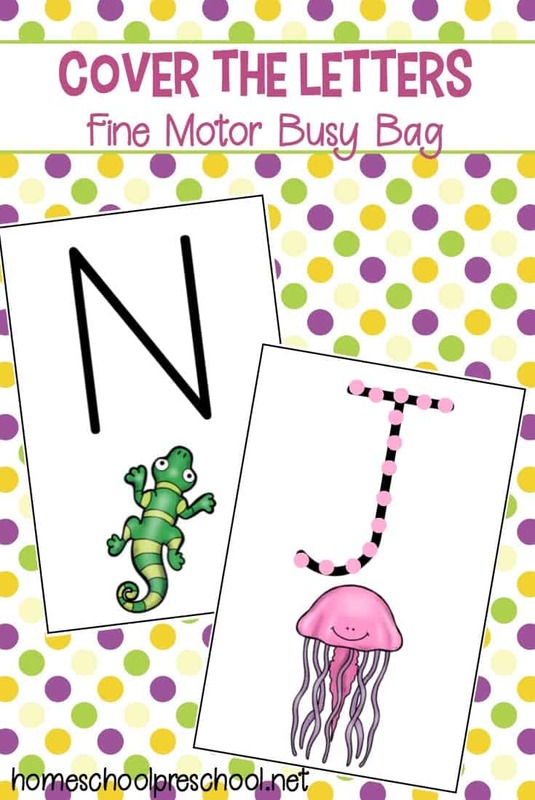 Print out the alphabet cards and laminate them for durability. 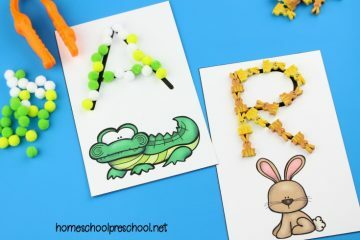 Then, encourage your toddlers and preschoolers to cover the letters with mini pom poms, dot stickers, or mini erasers. Any small items will do. This preschool busy bag is perfect for waiting rooms, restaurants, or any other time you need a quiet, educational activity to entertain your little ones. Grasping and lining up small items will also help little ones build fine motor skills they’ll need for good handwriting later on. 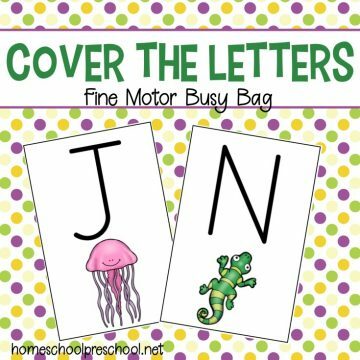 Each of the 26 Cover the Letter fine motor alphabet activities will make a great addition to your preschool literacy centers. These alphabet activities will help preschoolers and kindergarteners practice letter recognition, beginning sounds, and letter formation while working on fine motor skills. • small objects for covering the letters – mini buttons, pom poms, circle stickers, mini erasers, etc. Each card features a large uppercase letter and an image that begins with that letter sound. 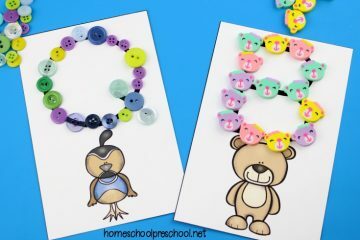 Kids will also work on building fine motor muscles as they cover each letter of the alphabet.